​View the video to learn more. 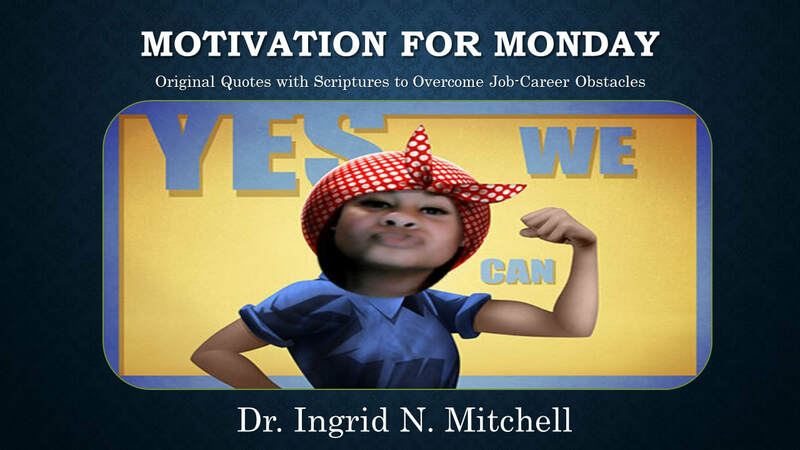 ​Motivation for Monday: Original Quotes with Scriptures to Overcome Job-Career Obstacles is a book for adults. It was created during a time of career difficulty in my life. Specifically based on situations that occurred with people, family, and friends that produced quotes. Those quotes yielded scriptures so that the Lord would help me. Now, I hope that this culmination of trouble can be a blessing to you. Each week, I would pray and ask the Lord-Jesus for specific prayers to be answered. Some prayers took months. Other prayers took a few years, but being steadfast in what you know is destined for you is key. ​For those that are seeking career advancement or progression with life, I hope you find this book inspiring.